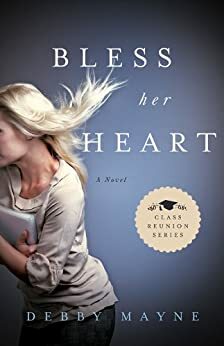 In Bless Her Heart, Priscilla Slater is invited to attend her 15 year class reunion. Thinking that it might be more fun this time around to attend, with her beauty salon business growing into a chain and the potential of hosting a tv show, Priscilla feels like she might finally live up to her title in high school "most likely to succeed". When troubles arise in her parents marriage and with those hosting the reunion, Priscilla must take a look at where her foundation is. With the approach of her 20 year high school reunion, things have exploaded with Priscilla's business. As her classmates are embracing life and being middle age, she is still trying to decide what she wants to do as far as romance goes. Can she slow down and embrace more in life than just proving that she is successful? I thought the concept of this series was interesting, though I felt like it could of had a bit more going on between the stories, since 5 years passes between each of the three books. Perhaps since I haven't gotten caught up in school reunions myself makes me not understand how important they could be for some people. It was fun to have the story from different perspectives though, with so many different characters and personalities telling the story. A reformed rebel, Harriet Bisset has managed to create a comfortable world around her, attempting to make up for the mistakes in her past. When Maddox McCray roars into her life on a motorcycle and takes her church, the one she works at part time, by storm with the changes he proposes to help them reach a wider audience, everything in Harriet's perfectly crafted world is turned upside down. Suddenly, she is challenged to truly forgive herself and believe that God had a plan all along that included her rebellion, using it to help others in similar situations. 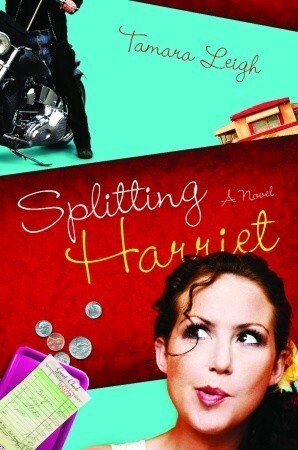 I have to say, Perfecting Kate was cute, but Splitting Harriet was more my cup of tea. I fell in love with the characters and enjoyed Harriet's journey immensely! The characters had depth to them and there was a fun diversity in the group of friends Harriet has. From her very first meeting with Dr. Ross Claybourne on the steps of her friends Inn, Anise knows that she has met a very special person who will forever impact her life. As she is drawn into his life and that of his four daughters, they discover that each of them has a secret and a past that they wish to keep from others. The final book in the Ceder Key series is told from the vantage point of the five Claybourne women. There is Kimberly, the oldest, who feels a need to control her life around her. Jayme-Leigh, the private one who followed in her footsteps. Heather, who is used to getting around things due to her looks, and yet comes against an obstacle that her looks won't get her around. Ami, the baby of the family who is talented and yet feels she must hold on to a secret that her mother shared about the family on her deathbed. And finally, Anise, the woman who married into the family, who brings her own past into the family. Through the years, the family visits Ceder Key, a special island that feels like the end of the world. I loved that this story is told from different vantage points, since it keeps things moving, especially as the story covers 13 years. While parts are a little gritty, with some of the things the family goes through, I felt like it was handled well and enjoyed the story. It all started out so simple for the new family in town. They held a birthday party for their daughter, Leah, and decided to get her a special gift that had been handmade by one of the businesses in downtown Mattingly. When Leah takes her easel to paint a prophetic masterpiece for a hurting couple, the whole town is torn apart picking sides. Could a nervous little girl really hear from God, or is something more sinister going on? I wasn't sure that I liked this story when I first got into it, since it is a bit bizarre and vague at times. By the time I came to the end, I decided that the message was worth it, since it has an important one. That being said, I wasn't a huge fan of the style it is written in. If you are looking for a unique story that will leave you thinking, than this is it! The characters are interesting and there is quite a bit going on throughout the novel. I received a complimentary copy of When Mockingbirds Sing from Thomas Nelson for my unbiased opinion and review. Brooke Holloway's life hasn't exactly turned out how she planned. Left a young widow with two children, she throws herself into running a small town hardware store and spending her free time with family. When Owen Saunders moves into the Hadley mansion, an old house with a mystery surrounding it, she can't help but be interested in the story that goes with the house. As she gets to know Owen, a man left bitter by his divorce, Brooke realizes she might not just be interested in seeing the changes in the house, but to also see changes in Owen's heart. A beautiful story of love, forgiveness, and salvation. 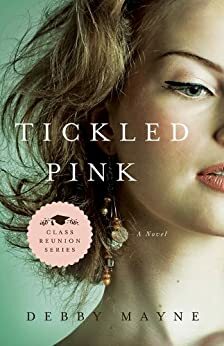 I love that there is more going on with the story than just what Brooke and Owen are going through, since the town trouble maker and an eccentric old uncle are thrown into the mix, along with Brooke learning to handle changes in her own family that leave her with the chance to face the bitterness she holds on to. In the third Book of the Infinite, we find the story of Akabe of Siphra, an outlaw who has been chosen to be king. Setting out to prove that the people, and the Infinite, have chosen the right man for the job, Akabe seeks to build the temple for the Infinite. But, the temple land is tied to a family of nobility who is known to be pagans. As Akabe follows through with marrying into the family to acquire the land, hie is swept into a world of deceit and terror. Meanwhile, Ela of Parne is sure that she will die young, since prophets attuned to the Infinite rarely make it to old age. When her father decides she needs to find a husband and settle down, Ela embarks on a new adventure: marriage. This novel was at the top of my list of most anticipated books being released this year. It lived up to my hopes! It is rare for a work of Christian fiction to draw one in to the story so fully, which is what this series does. :D I highly recommend the whole series! The second book in the Cadence of Grace series opens with Gideon and Lonnie O'Riley living a happy, simple life in the Blue Ridge mountains. After their marriage overcame a rocky start, they have grown to love one another and Lonnie's sweetness is slowly softening Gideon to the God she serves. When trouble arises at home due to Gideon's past, Lonnie is left without the husband she has grown to depend on. 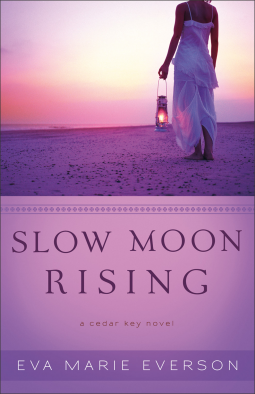 Can Gideon make his past choices right and continue to build a life with Lonnie? Or will they be torn apart by forces beyond their control? Written in a similar style to that of Janette Oke's (though not quite like the sweet, uncomplicated stories that Oke penned), Joanne Bischof draws reader into a time period when life moved at a slower pace, and yet was not without it's own trials.